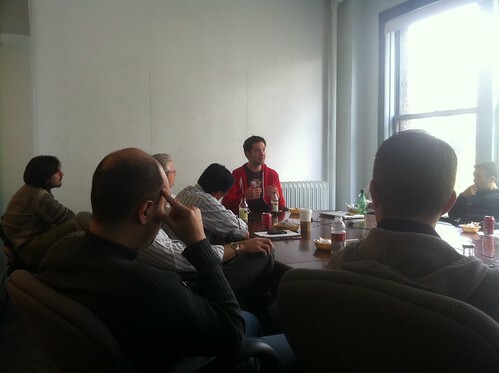 Today Y Combinator ambassador to the east Alexis Ohanian came by our office’s. He spoke about how YC helped him with his startup Reddit and how he is now working on breadpig.com. There was one thing that Alexis mentioned that really made me think why they are so succesfull at what they do. I think some of the secret sauce that YC has is a weekly dinner. I don’t think it is just the dinner that drives startup product but the demos. Demoing to peers who judge, drive Startups to work a little harder. But it isn’t just that, imagine demoing to the founders of google, or the founder of facebook. Now that is pressure… That drives home a secret message. Get product out fast. Period. You don’t want to look like the startup who didn’t do their homework. This month Alexis Ohanian, the founder of ReadIt will be talking at a Rose Tech Free Lunch Friday, I am looking forward to it! They were the first successful company to get an exist out of ycombinator.